Your website and special events can be brought to life with video and digital clips. 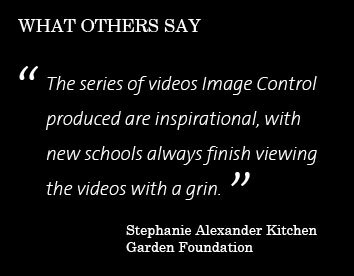 Image Control produces high quality videos, animation and digital media for the education sector. Student voices are almost completely absent from school websites. Now you can showcase the the unique qualities of your school community through interviews with your staff and students. You can also keep your website fresh and interesting by adding updates and special events. Director Keith Webb has over 30 years of experience and has worked with schools, TAFEs and Universities producing videos for special events and websites. Image Control’s key education consultants understand all aspects of schooling, curriculum and school life. Our experts are ex-teachers and education managers who know how to meet your needs.